Light up your living space with three times the drama! 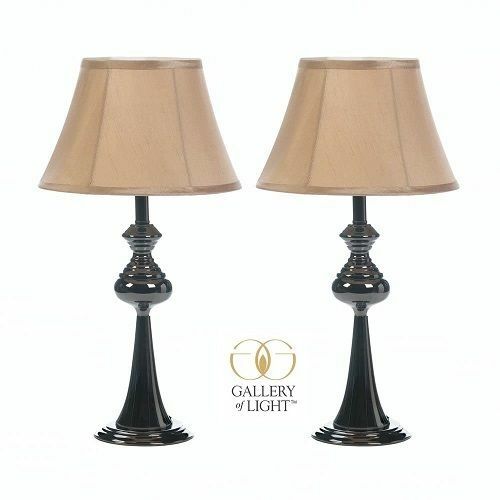 These gorgeous black-plated modern lamps will shine in your living room, bedroom and anywhere else you want to add style and a touch of glamour. The trio includes two matching table lamps and one tall floor lamp, all with neutral fabric shades. Table lamps: 11" x 11" x 20 1/2" high; power cord is appx. 56" long.